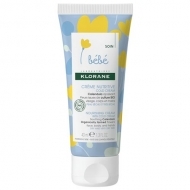 Leaves skin soft and non-greasy. 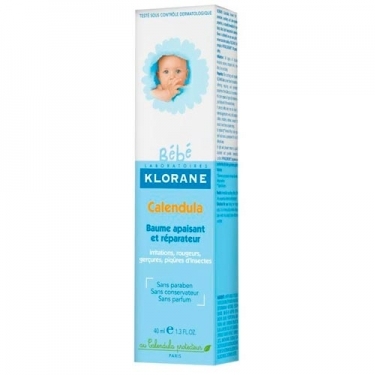 DESCRIPTION: Bébé Baume Apaisant Calendula from Klorane is a balm that takes care of the skin irritations of the baby and the whole family: clothing rubbing, redness, insect bites or plant bites. Its formula favours skin repair and forms a protective film. Its texture quickly penetrates the skin and provides immediate comfort. The skin is repaired, smooth and hydrated. No parabens, no perfume and hypoallergenic. With the help of the cannula, apply 2 to 3 times a day on irritated, previously cleaned and dry skin.